Loads of smart, famous people, that’s who. What’s more, the program wasn’t even really supposed to be about teaching or school. It was about Shakespeare. What are we talking about? 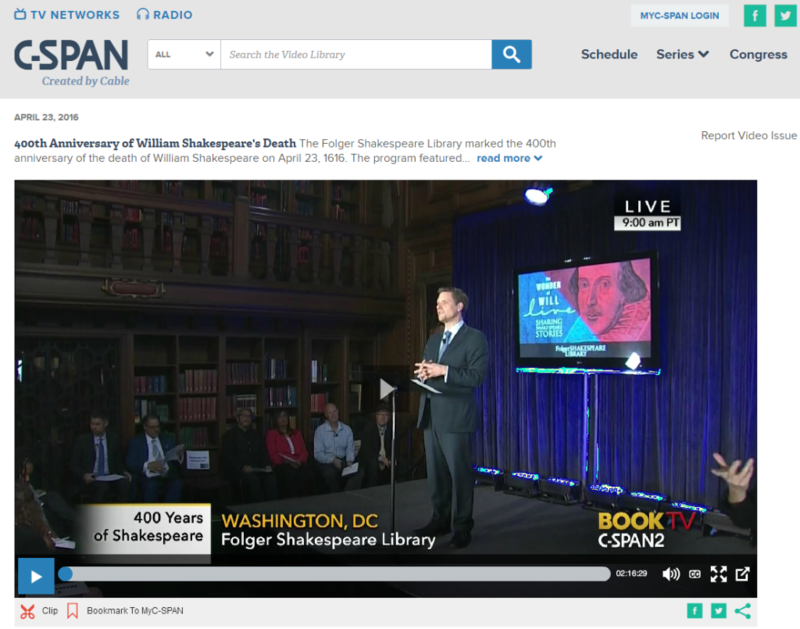 On April 23rd, the Folger celebrated 400 years of Shakespeare and commemorated the day of Shakespeare’s birth and death by hosting a live streaming event called The Wonder of Will LIVE. All kinds of inspiring people shared their personal connections to Shakespeare through stories and performances. In our eyes, of course, the most famous of all are Francisca Piantini, a DC high school senior; Donna Denize, a DC high school teacher; and Kaya Henderson, our beloved Chancellor of DC Public Schools. YAY! The show was broadcast on C-SPAN2 Book TV and c-span.org and is—great news for everyone!—archived online. You can watch the whole thing here. And just to give you a sense of how prominent K-12 education was at this event: over the course of the program, the name “Hamlet” was mentioned more than any other character or play—by 6 speakers. The word “school” was mentioned by 10 speakers.